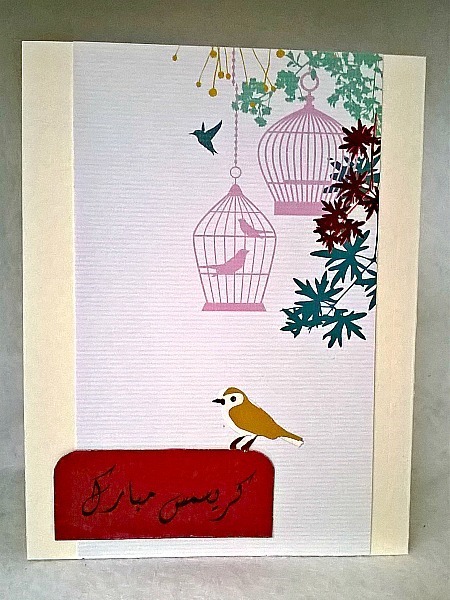 This Farsi Christmas card features birdcages and birds, all wishing you a Kerismas Mobārak. 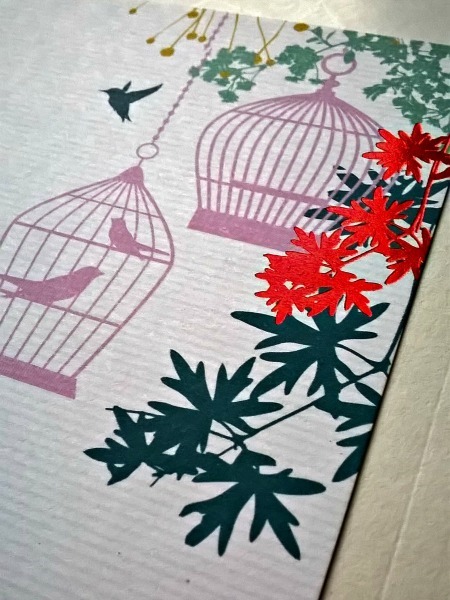 The card is dressed up with an additional little brown bird. 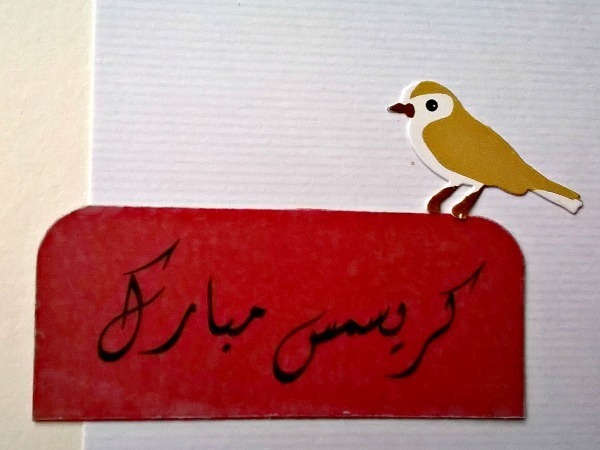 It was placed over the Persian saying of Merry Christmas that has been printed on vellum and added to red cardstock. 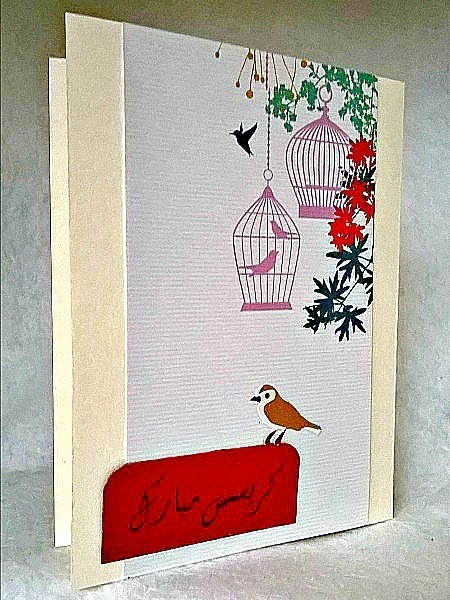 Red cardstock was used to match the red glittered tree coming out of the top right corner of the card. This card is blank inside and will be mailed to you in a protected plastic sleeve, with a beige envelope. The card was made it in my smoke/pet free studio.